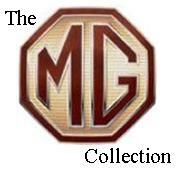 In 1962 MG replaced the MGA with the iconic MGB. A car that was intended to have a production life of seven or so years. The first of the line rolled out the factory in June 1962 bearing chassis number G-HN3 101 and, apart from the introduction of black impact resistant bumpers from 1975 (mostly to suit American law changes), the cars looks changed very little. Given that the design shape had been tested and proven in a wind tunnel one supposes there was little need to spoil the smooth flowing lines that allowed a top speed of over 105mph, and looked equally good standing still. 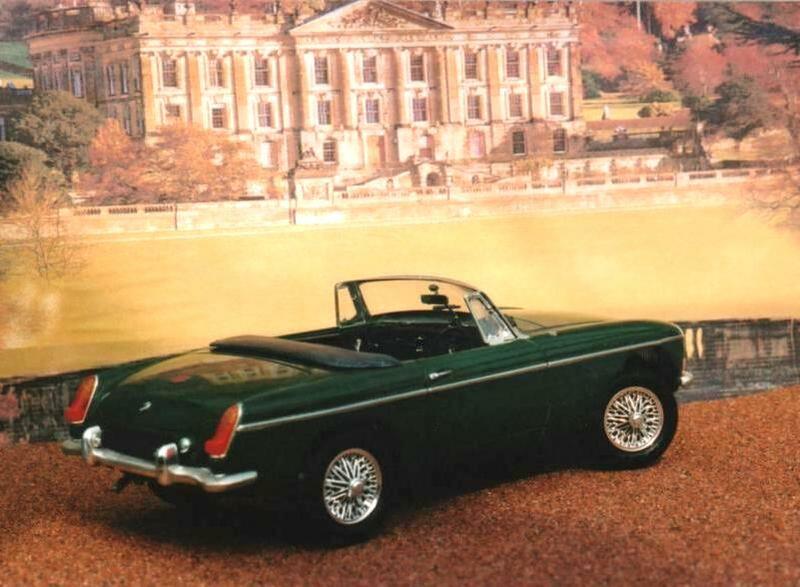 The MGB was, in truth, more of a high-speed tourer than a sports car. Two people could be accommodated in comfort and there was room for two small children on a ledge behind the seats, the generous internal dimensions were a product of the unitary body and chassis structure. In the end the MGB was shorter than the ‘A’ but had more passenger compartment, and luggage, space. Another new idea in the MGB chassis was the introduction of controlled crumple zones, designed to protect the driver and passenger should an accident occur Wind up windows were a welcome improvement on the MGA's side screens. All the MGB’s were driven by a 1798cc 4-cyl’ engine which hid behind an upright grill, most evidently different to that of the sloping grill on the ‘A’, allowing space for a bigger radiator and larger engines if needed later. The B series engine had been stretched, by boring out to 80.26mm x 88.9mm, to it’s limits but with all sorts of technical changes, including raising the compression ratio to 8.8:1, it was now giving 95bhp @ 5400rpm with 110 Ib/ft of torque @ 3000rpm. In 1962 the cost of an MGB was £690 plus £260 car tax. For an extra £16.8s5d (£16.43p) you could have a fresh air blower and heater. £34.3s7d (£34.18p) more bought you wire wheels instead of the standard steel wheels. Three years after the open car appeared, it was joined late in 1965 by the closed GT version with a useful tailgate and improved passenger seating. The turmoil that successively engulfed MG’s parent companies (originally produced by the British Motor Corporation, followed in 1966 by British Motor Holdings, finally by British Leyland Motor Corporation from 1968), meant that the ‘B’ was destined to remain in production for no less than 18 years with it’s manufacture ceasing in 1980. As well as all the parent company transitions this had also been a time of political pressures on the motor industry, new safety and emissions requirements meant the factory at Abingdon kept adding parts until a car that in total weighed around 2,000 lbs. became a 2,800 lbs by the time of the last version in 1980. But that was not the end of what had become <?<span>Britain’s best loved sports car. Incredibly, in 1982 its spiritual successor, the limited edition MG RV8, appeared and went on sale for a further two years. Aoshima were not terribly well known for their car models. In fact in the late1990's few people in the UK knew much of Aoshima at all. The first versions of the kits were actually released around 1994 and were pushing the boundaries in some areas for the time. Later there were several options of the kit made available including the later rubber bumper versions and racing versions. All the kits are curbside, but all have nice photo-etch scripts and crisp mouldings. Both Airfix and Revell later issued MGBs in 1/24th scale and both are identical to the original Aoshima kit. Built straight from the box in September 2000 this model is painted with Halfords acrylic car spray paints and Humbrol acrylics and enamels.